Announcing the new “Connected by Qatar Post” service, the organization also said it is planning doorstep drone delivery for some packages. The shop and ship service is similar to Dubai-based Aramex, though appears to be considerably more expensive. The first phase of the new drone service should start in three months, QNA reported. During a signing of a memorandum of understanding with the Ministry of Transport and Communications yesterday, Q-Post‘s chairman and managing director Faleh Al-Naemi said a second phase will be rolled out by October. The new, home-grown e-commerce service was first mentioned by Al -Naemi last October and at that time had been called “Ship 2-Q”. 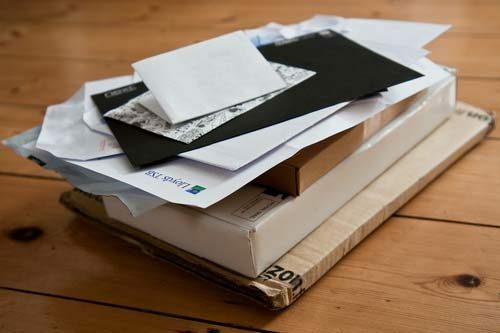 Under the new system, customers can rent postal addresses, initially in the UK and USA, and buy items online that can be sent to these locations. Packages will then get forwarded on to them in Qatar – either directly to their homes, to one of 30 post office branches in the country or to a smart locker. These lockers will be in locations across the country, and will be open round-the-clock, Al-Naemi said. Q-Post has not given updated details of the lockers’ locations, but Al Naemi previously said they would be in shopping malls, residential neighborhoods and university campuses. The new service should make it easier for residents to shop online and get goods delivered to Qatar – particularly from outlets that don’t ship to this country. 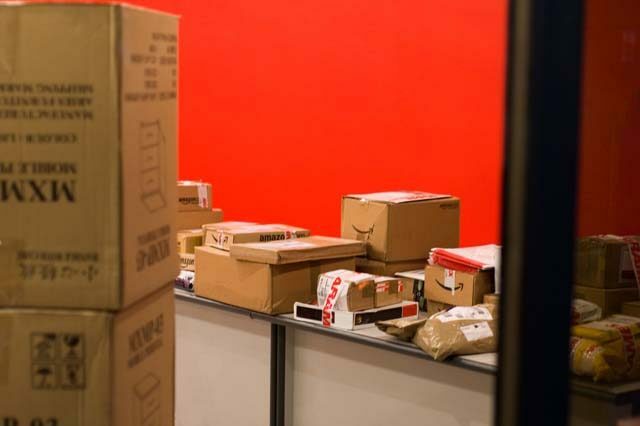 Q-Post will be competing with Aramex, which offers private shop-and-ship facilities, though customers usually have to collect their parcels from an Aramex outlet. Shoppers can sign-up to Q-post’s new system online, which will give them a mailing address in the US or UK. Addresses in Japan and China will follow “soon,” Q-Post said on the website of the new service. With lifetime membership, shoppers can buy goods online using the overseas address as a shipping location. The items can be stored in a warehouse for up to 21 days, allowing shoppers to bundle together a number of parcels to minimize shipping costs. Q-Post said it aims to get parcels delivered “within five to eight working days” and has an online tracking system. Parcels can be up to 1.5m in length and the maximum length plus girth cannot be more than 3m. Q-Post has a different fee structure from Aramex, though both charge an initial “lifetime” membership fee. However, according to the Peninsula, Q-Post will waive its QR99 fee (Aramex costs QR164) and also give 30 percent off on the base charge for a customer’s first shipment. According to Q-post’s website, delivery charges will be based on the weight of the package. There’s a minimum charge of QR129.60 for the first item up to 500g, plus an additional fee of QR4.6 per 100g thereafter, for goods shipped from the US. Items from the UK cost QR133.25 for the first package plus QR2.9 per extra 100g. Q-Post’s basic fee for a parcel up to half-a-kilo is around three times the price of that charged by private rival Aramex (QR43 plus a QR10 inspection fee). A 2kg parcel posted from the UK to Qatar would cost QR158 with Aramex, but QR176.75 with the new Q-Post system. But the fee structure for heavier packages is different, with Q-Post charging per 100g while Aramex bases its costs in 500g increments. And with Q-Post there is no base-rate charge for second and subsequent packages, which are charged according to the total weight of the delivery – making it cheaper for customers to bundle multiple parcels together in one consignment. Al-Naemi has previously said that Q-Post would play a central role in the country’s expanding e-commerce market, which is expected to grow to US$2.2 billion by 2019, up from $1.2 billion last year. The launch of the new service comes amid a broader e-commerce strategy in Qatar to introduce more competition, which would lower prices and improve service. Despite the sector’s rapid growth, only 14 percent of Qatar’s residents shop online compared to a regional average of 27 percent, according to ictQatar. Would you use the new service? Thoughts? Note: This article has been corrected to state the actual costs of a 2kg shipment from the UK to Qatar.